We have made it move. We have made it glow, We have made it bounce, and we have even turned it into snow. Slime has remained wildly popular here on Growing a Jeweled Rose over the years. 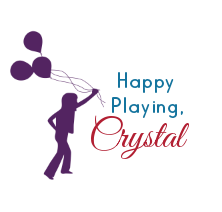 My kids love it, and I love coming up with fun & creative ways to make it. 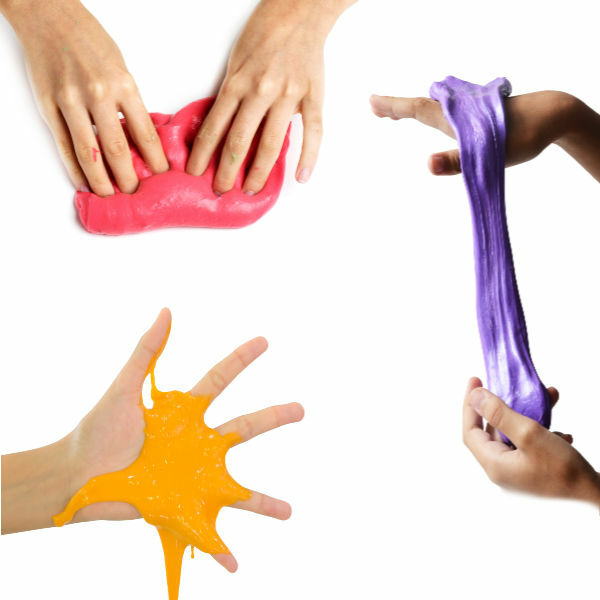 Today, we are sharing a simple recipe for fluffy slime. 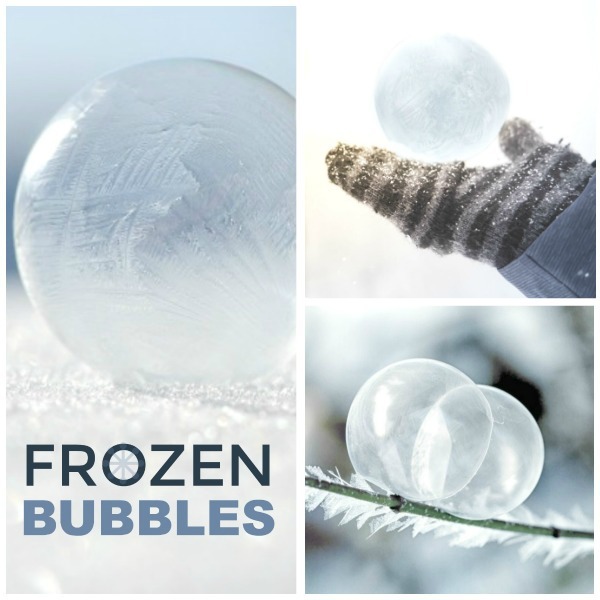 For All the Best Kid Activities follow us on Pinterest & Facebook! We have made slime from a lot of things over the years, but for us this was a first. Today, we took two of daddy's staples- contact solution & shave foam... and somehow we turned that into slime. Life is weird, and this makes me ponder what is in our self care products.. But anyhow, back to the slime. This was a really fun experiment, and the end results were pretty spectacular. 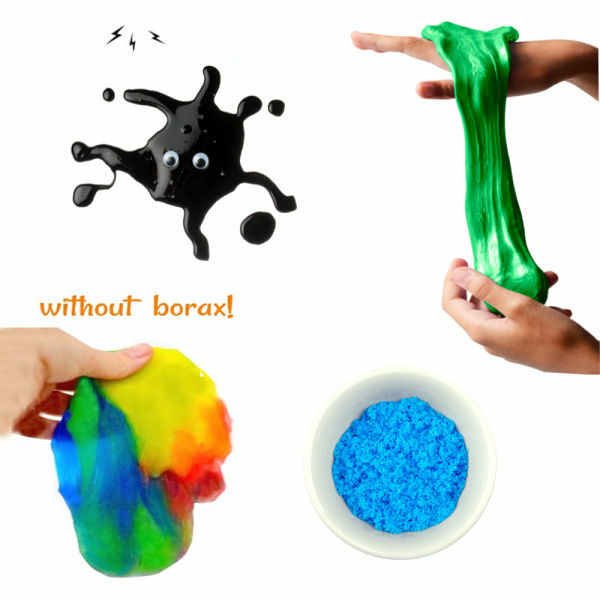 I also love that this recipe does not contain borax. 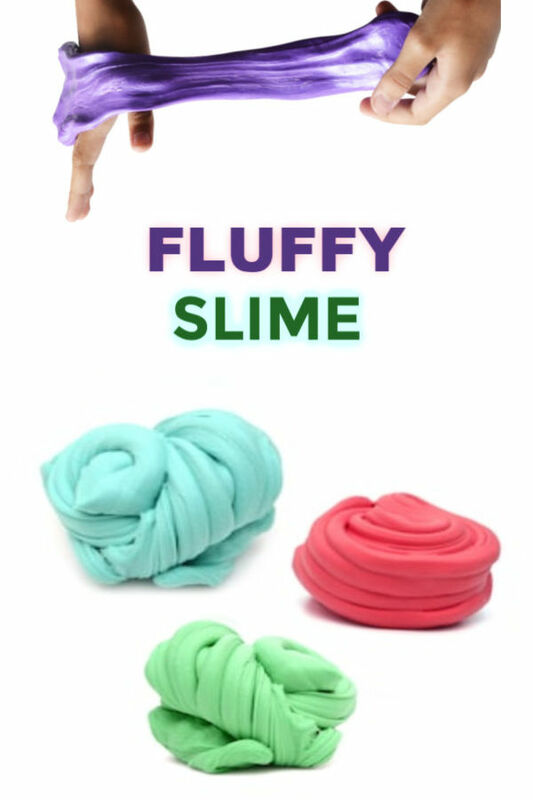 Are you ready to make FLUFFY slime? We used Elmers school glue to make our slime. I recommend using the same, as the results could vary with different glue brands. We buy our Elmers glue in bulk online here. The contact lens solution you are using must contain sodium borate or boric acid. Be sure to check the ingredients list before making your slime. The lens solution we used can be found online here. 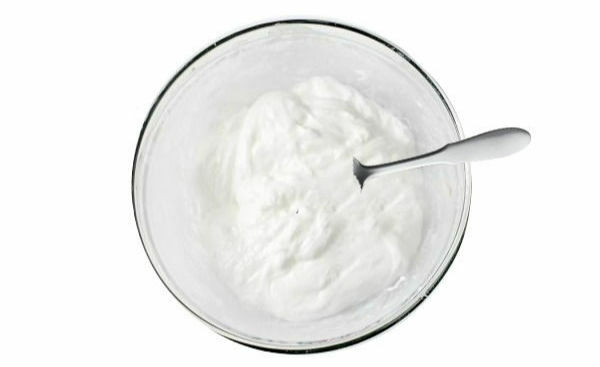 For this recipe be sure to use shave foam, not gel. 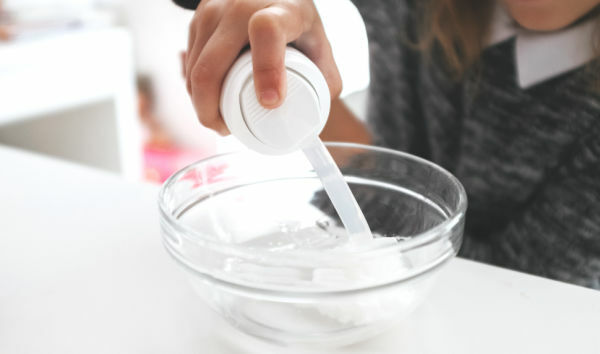 Begin by pouring 1 cup of white school glue into a large mixing bowl. 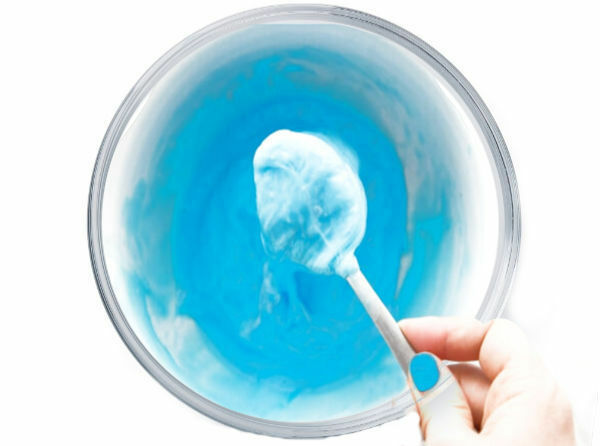 Add up to 3 cups of shave foam and mix, using more or less depending on how fluffy you want your slime to be. Add food coloring & mix until the desired color is achieved if desired. It is now time to add the active ingredients. For this recipe that means daddy's lens solution! Add a few drops of contact lens solution & mix, slowly adding more solution & mixing until the desired consistency is reached. 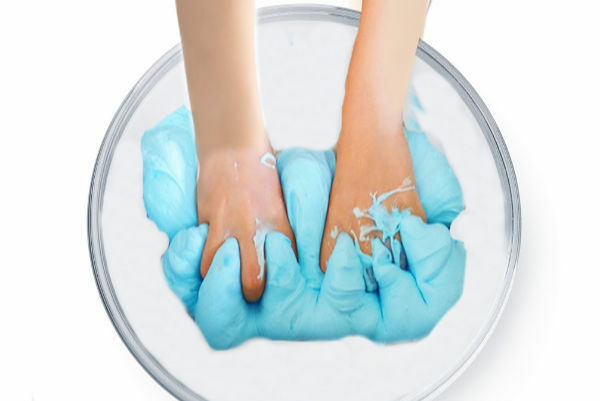 If the slime is at all sticky add another drop or two of saline solution & mix it in. 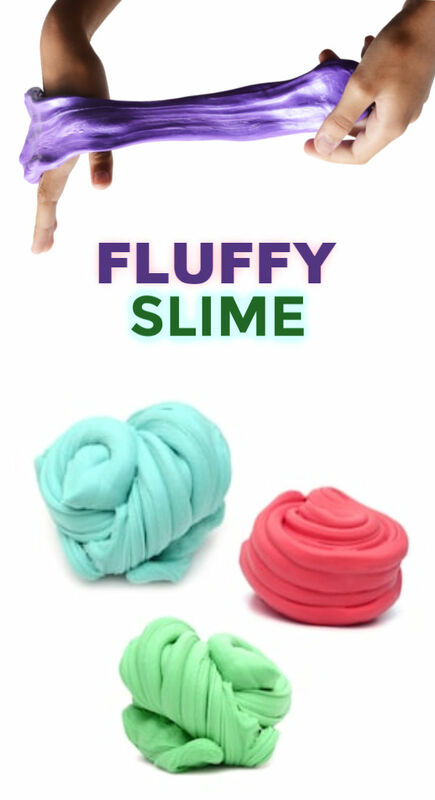 After a bit of mixing & kneading you will have amazing, FLUFFY slime! 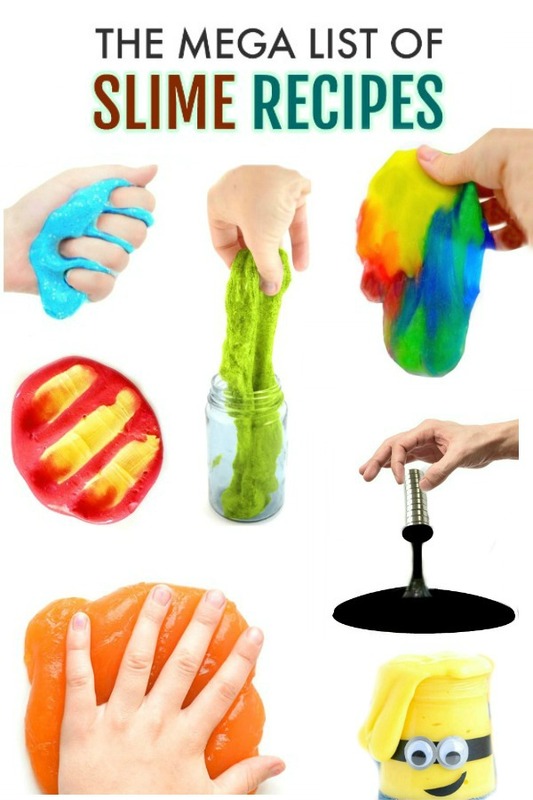 Repeat the steps above for each color of slime that you wish to make. We made several batches of fluffy slime so that we could have the whole rainbow! This stuff feels like fluffy, cotton candy clouds & is just the epitome of childhood joy! 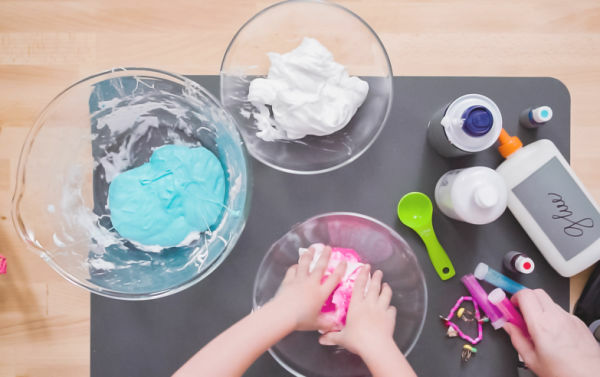 This slime takes a little more "work" to bring together than other recipes we have shared, but the fun in making slime lies in the mixing & concocting of the ingredients. If every slime turned out the same then we would just buy it, right? Each is unique. Each is fun. And each is a lesson in science.